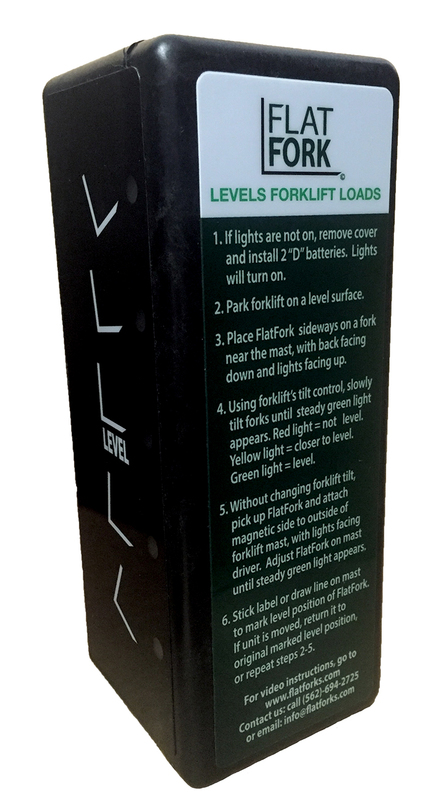 FlatFork is a digital fork level indicator that quickly and effectively shows forklift operators if their forks are level. Models are available for both counterbalanced forklifts (mast tilt) & Reach trucks (fork carriage tilt). Under 1 minute to set up and install. Get started quickly. No tools, wires or mechanic needed. Exceptional protection against dust and water. Portable. Can be moved to other lift trucks as required. High Standards. Proven Quality you can trust.